If I may say so, the 1980s was a decade to be frowned upon, at least when viewed in terms of pop culture. Think about it: big hair do’s, stonewashed jeans, mullets, not to speak of the Tom Cruise mania of the time. Sometimes it’s hard to believe the decade also produced the best indie-rock bands we know today. Built to Spill, Sebadoh, Yo La Tengo and Pavement were founded during these years and have risen to great heights ever since. Yo La Tengo for example, withstood the test of time. Which is something that can’t be said of another great band, Pavement. Ten years after its formation it sadly dissolved, yet did leave an everlasting positive impression on the music scene. Pavement was famed among connoisseurs for their melodious rock sound and attracted a large underground audience. On Crooked Rain (1994) the band turned their backs on lo-fi and adapted a more tradional rock sound, making it a ‘must hear’ in the indie rock scene. Eventually this success backfired in 1999 and led to the bands demise. Lead guitarist and vocalist Stephen Malkmus was keen not to leave any hiatus after Pavement’s dissolution. Malkmus quickly formed a new band in 2000, The Jicks, and steadily began releasing records from that moment on. 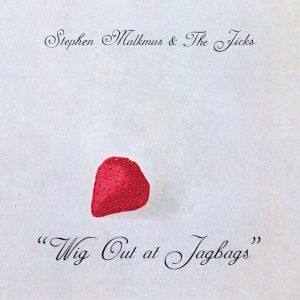 The band’s sixth, Wig Out at Jagbags, is probably one of the first releases of this year and, given Malkmus’ monumental status, I ask myself why it shouldn’t be a serious contender for my end-of-the-year-list of 2014? After hearing Wig Out at Jagbags for the first time it immediately becomes clear this album differs from the more rock oriented Pig Lib (2003) and, my personal favorite, Real Emotional Trash (2008). Malkmus’ latest, displays a mature and happy way playing guitar-rock, much like we heard before on the 2011’s Mirror Traffic. If you can say something about Wig Out at Jagbags it is that it’s incredibly varied. Malkmus skillfully switches styles on almost each track. Without pretty much any difficulty alternative rock on ‘Shibboleth’ is swapped for 70s soft-rock on ‘Chartjunk’. Other shades of rock music are also revisited by Malkmus and the Jicks. ‘Cinnamon and Lesbians’ is folky one, whilst ‘Houston Hades’ and ‘J Smoov’ are simply great pop ballads. The new Stephen Malkmus and Jicks contains something for everyone yet on the other hand just doesn’t hits the right button. You might wonder why not. Well, the answer is not that difficult. After the demise of Pavement, Malkmus level of work is still topnotch. Which, on its own a great achievement and affirms the man’s grandeur. However I do think he spoiled us too much in the past ten years, making Wig Out at Jagbags more of the same nostalgic brilliance. This entry was posted in WRM and tagged 70s soft-rock, alternative rock, Built to Spill, cd, Crooked Rain, folky, indie, Indie rock, lo-fi, Mirror Traffic, Pavement, Pig Lib, pop, pop ballads, Real Emotional Tras, review, Sebadoh, Stephen Malkmus, Stephen Malkmus and the Jicks, The Jicks, Wig Out at Jagbags, Yo La Tengo. Bookmark the permalink.